Home Inspiration Inspiring Celebrities Top 5 Most Popular Wrestlers Of All Time. Top 5 Most Popular Wrestlers Of All Time. Who are the legendary superstars of the WWE? From unforgettable matches to outstanding management, these top 10 most popular wrestlers of all time did it all. Check out these contemporary masters of the wrestling ring. The WWE, World Wrestling Entertainment Inc, was founded in 1979 as an outlet and entertainment franchise enlisting some of the greatest wrestlers of all time. Everyone knows the names of the greats like Ric Flair and The Hulk but how much do you know about these WWE wrestlers? Whether you love them or hate them in the ring, there were more to these wrestlers than spandex tights and made up personas. Keep reading to learn more about some of the most popular wrestlers of all time. Terry Gene Bollea, born August 11, 1955, debuted as a wrestler in 1977 and is truly considered one of the greatest wrestlers ever to enter the ring. Often referred to as the most popular wrestler of the 1980s the Hulk was the face of the World Wide Wrestling Association (now the WWE) through the 80s and 90s. He was known as the hero of the good guys until he took on the new role as “Hollywood Hulk Hogan” the leader of the villains of New World Order. He was the grand finale of the most profitable pay-per-view event, Starrcade and several other WrestleMania, WWF and WcW events throughout the years. Hulk Hogan is a 12-time world champion, six-time WWF Heavyweight Champion and six-time WCW Heavyweight Champ. He boasts the longest reign in history for WCW champion title and was the first to win two Royal Rumbles in a row in the early 1990s. Sylvester Stallone inducted him into the WWE Hall of Fame in 2005. He is not only known for his wrestling career but is a long time actor and entertainer on screen as well as in the ring. Working with Sylvester Stallone in Rocky III, he also starred in commercials for deodorant, television shows, several movies and video games. He’s dabbled in music as well but will always be loved and appreciated as one of the most popular wrestlers of all time. You can’t talk wrestling without thinking about one of the most popular wrestlers of all time, Ric Flair. Richard Morgan Flieh was born on February 25, 1949, and first debuted as a wrestler in December of 1972. His career has not only spanned four decades but includes some of the most memorable matches of all time. His talent and popularity lead to him receiving some of the highest honors in the industry, including being the only wrestler to be inducted twice into the WWE Hall of Fame. Once for his solo wrestling career and once as a member of the Four Horsemen. He’s also in the NWA Hall of Fame, Wrestling Observer Newsletter Hall of Fame and the Professional Wrestling Hall of Fame. Ric has been a leader in not only the WWE but across every wrestling association you’ve heard of. Often referred to as the Nature Boy, Ric Flair has been awarded the PWI Wrestler of the Year distinction six times and the Wrestling Observer Newsletter gave him their Wrestler of the Year award eight times. The WWE recognizes him as a 16-time world champion though Ric claims it to be 21 times as there is some discrepancy depending on the source. Ric Flair is a huge draw for pay-per-view events including being a headliner 10 times for the NWA/WCW annual Starrcade event and co-headlining the 1992 WrestleMania after reigning at the 1992 Royal Rumble. He isn’t just popular in the US either. From 1971-2013 Ric Flair was associated with the International Wrestling Association in one way or another and inspiring a lot of excitement when it was announced he’d return for a match in 2013. He, unfortunately, had to pull out of the match because of a swollen left leg and ill health. His son took his place with Ric making an appearance and delivering a few blows to Reid’s opponent. Flair’s other son David was the cause of his loss of the WCW championship in 1998 at SuperBrawl. The next year he went on to defeat the Hulk in their match at Uncensored which could have cost him the title of President. Ric Flair won his last world championship title of his career in 2000. He took a break from wrestling after losing some high profile matches such as Wrestlemania, Raw, and SummerSlam. He couldn’t stay out of the limelight and ring forever though, it’s part of who he is so Ric Flair returned to the WWE after coming out of his first retirement. He spent some time with various Independent Circuit and Total NonStop Action Wrestling before returning to the WWE in 2012. The Wrestling world was saddened by the 2011 death (cardiovascular disease) of one of the most popular wrestlers of all time, Macho Man Randy Savage. Born Randall Mario Roffo on November 15, 1952, he would go on to be considered one of the industry’s greatest performers of all time not only by fans but by several peers as well. Randy Savage had a career that spanned 32 years and saw him claim 29 titles. He was WWF World Heavyweight champion twice and he claimed the WCW World Heavyweight Championship four times. He claimed the title as greatest Intercontinental Champion of all time and was considered to bring a higher level of credibility and class to the title. Macho Man headlined several events including WrestleMania IV, V, VIII, four SummerSlam shows and many other events. Randy Savage was inducted into the WWE Hall of Fame in 2015, three years after his death. Currently signed as a free agent with the WWE the Undertaker definitely needs to be on any list of most famous wrestlers. Born March 24, 1965, Mark William Calaway started his professional wrestling career in 1984. He started out using various gimmicks and personas in the WCCW and WCW but would not take on the “brand” of the Undertaker until joining the WWE in 1990. The longest ever tenured performer has been nicknamed the Soul of the WWE with a 27-year career that has seen him claim 17 championship titles. One of the greatest claims to fame for the Undertaker is the 21 straight victories streak of WrestleMania in the WWE’s premier annual event. He’s still going strong, having beat John Cena in April 2018 at Wrestlemania 34 in New Orleans. John Cena is probably one of the few wrestlers to brand his real name as he took the wrestling world by storm. John Felix Anthony Cena Jr. was born April 23, 1977 won the UPW championship just a year after starting with the organization and quickly became a popular wrestler among the fans. He debuted with the WWE in 2002 and has won 25 championship titles throughout his career as a professional wrestler. Wrestling isn’t his only passion though. John is also recognized as a rapper, actor, television host, and avid poker player. He is recognized for his poker skills and said to be good enough to possibly take a championship there too. It’s hard to narrow a list down when there are so many greats out there. Everyone has their loyalty to their favorite and often the following names show up on that list. And each is deserving of the attention. Whether you see wrestling as a sport, purely fake entertainment or a skilled art form it takes charisma and physical fitness to win over the crowd to become one of the most popular wrestlers of all time. 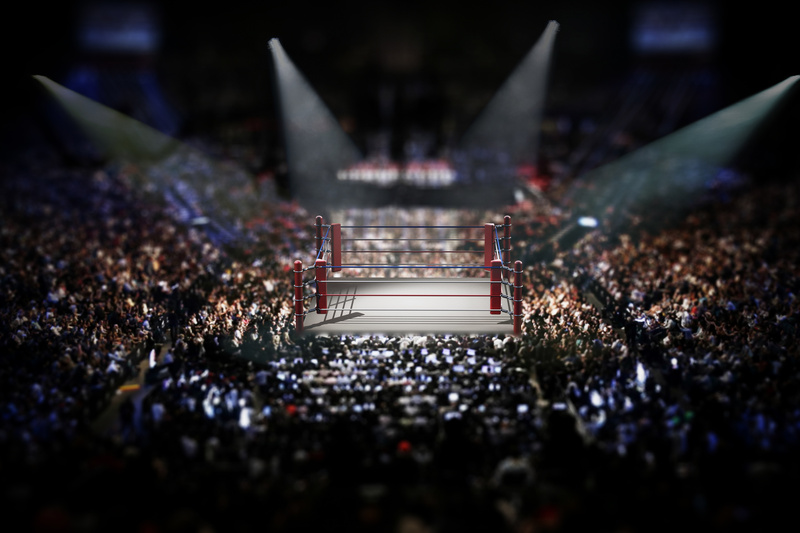 If your dream is to enter the ring, you’ll need to spend a lot of time in the gym and work on your overall skills both in and out of the ring. You don’t just need physical strength and stamina to become one of the most popular wrestlers (or most popular anything). For tips on how to reach your dreams and improve your life check out our blog.